For professionals and at home, the Wine Space is an important part of hospitality, a refinement within contemporary living. Each project can be individually customised by combining different sized modules. 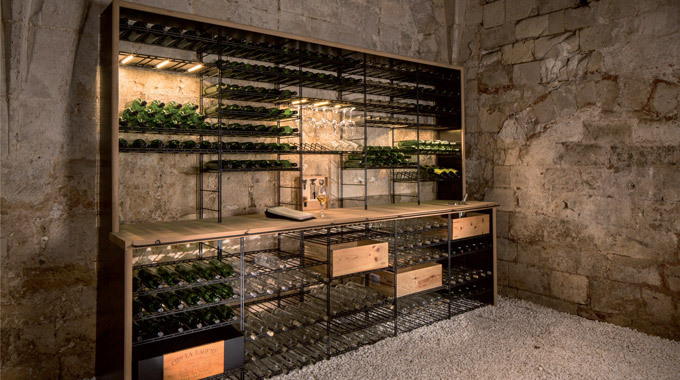 The various layout options meet the wine lover’s functional choices for storing and presenting their bottles including in separate niches, all together, on inclined planes, compartmented drawers for wine wooden boxes. Designed for professional use, the interior design units have a refined visual look and can be easily incorporated into any environment. The materials used are authentic and durable: steel, solid wood, tempered glass, etc. 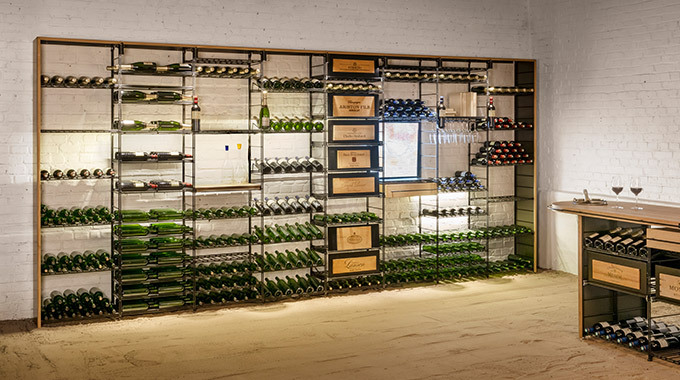 Create you cellar using our configurator.